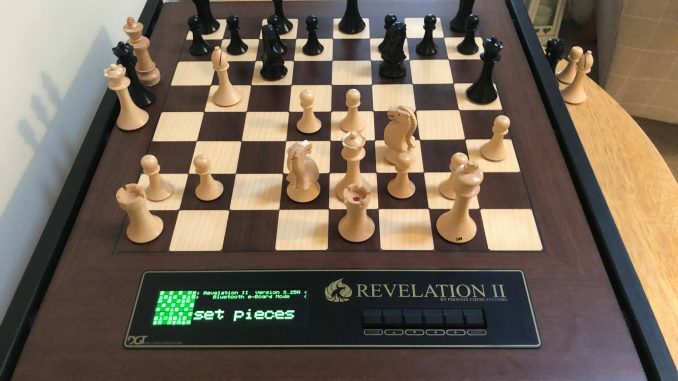 Finally the revelation II chess computer got a massive update concerning its emulation of DGT-XL clocks. For long i asked the developer Ruud Martin to update his rev2 to the newer DGT-3000 chess clock. And this is done now. Actually he not only updated to DGT3000 clock, no…he moved ahead and you can now enjoy a complete 11 chars display like the DGT-Pi would offer! Great news isnt it? Off-Topic: This firmware also includes some other missing engines Ruud promised to do. So, its really worth to get your hands on it. The title picture was given from Al Cooper to me. He was helping me to test this new firmware on his Revelation. Thanks! I have question. How to use remote engines via a local network. What do I have to do on my Pc with the ubuntu system. On my Raspberry, I activated server in the ini file on port 8080. Tutorial needed. only the first 8 engines are supposed to work on all features of picochess (well, rodent3 still have a problem with “alternative move” – as i posted somewhere else already). I should remove these old engines from around 2015 anyway. Thanks for pointing me to this “issue”. but maybe it’s my picochess box or is picochess just beta? I understand, a customer of “Topschach Benny”, he also told you, in the box would be an RP2? Im about to buy the DGT PI chesscomputer, but I have questions about the voiced move anouncements. Are the move notation short or long? Are there any videos (or audios) showing this feature? the voices are in SAN format so for example “Nf3” => short. You can search for “picochess” on youtube. There is already a female voice (Christina) for all languages incl. english. I still cant update the SD-card as it shows up in my win8.1 pc as a 69 Mb H:(boot) and nothing else (no 8Gb). The write32image refuse to write the image due to small amount of space?! I managed to write the image to the SD card using another application, so its all working now. If your output from the RPi audio jack socket is quite low and buzzes a lot add the following line to /boot/config.txt audio_pwm_mode=2 Afterwards type sudo reboot. To make the volume instantly louder (it will also be kept after the reboot) type amixer sset PCM,0 90% Obviously the percentage can be set to any number, but 100% is too loud. 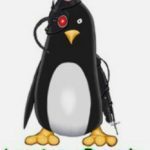 you must first login to your rasp (dgtPi) over ssh (do y know how to do this?) and then type in these commands. I would recommend you ask this question on google forum https://groups.google.com/forum/#!forum/picochess, cause its answer depends what steps you already completed. Any chance of bringing back the Claudia Engine? I really enjoy its human like playstyle. Claudia was deleted on v0.9b cause this engine is NOT stable. You can install it on your own or ask the developer of it to produce a stable engine. As long its often crushing, there is zero chance to return. Sorry. Hi Jurgen, if the Revelation II is not upgraded with the new firmware and DGT Pi is 0.9n version, bluetooth is recognized by picochess? I am trying to do that but Rev II bluetooth is not recognized. It should work even with old rev2 firmware (on old XL display then). Nevertheless you should try an older version of picochess (prefered) or take a look in the log file if picochess really connected to your rev2 (=if connected but still not work, its prob. not a hardware problem). Just to sort things out. Hello , is there anyone in or close to Belgium who can help me by using whatsapp or Messenger or even Viber to help me to upgrade from version 0.9e to 0.9n ?? I dont understand any of the ini settings, how to get voice activated or even to update. I am a complete novice and would like some help. I am a great chess fan though please contact me at cajudos@gmail.com I am completely stuck 😉 thanks in advance Carlos Any help is highly appreciated !!!! – pull in a cable between your router & raspPi/DGTPi and during “picochess” is displayed at startup press the middle button. In this update menu you can choose at least “v0.9m” select it, and y have at least 0.9m. Voices y can turn on with the standard menu. What problem y have there? Hi, i subscribed this side to Test it for a week, i paid through Paypal and it is activated, why do i have no permissiion to The v.09p page. Thank you for Picochess and your work. it was an old setting, cause i had to restrict this text to higher levels that time. But i fixed it now. Sorry. I stumbled against a problem. It is concerning the clock on the PiCh server. I managed to get PicoChess working on a RP with the 7″ touchscreen. However, the screenclock resets itself after every move to the original startvalue in the time- and the Fisher-mode. In the Fisher mode the extratime is nicely added. So if I start with 90 30, after every mover 30 seconds are added but for every move the remaining time is 90 minutes again. So I get more time over and over than when I started. this is not a bug – this setup (=only board, no clock) is not supported. You need to have none or both. I maybe change this, but not too soon. Well, I’ll kindly ask you to change it. I am sure the configuration with the PI-touchscreen will soon become more popular, so more people will stumble against this feature. It is good not to be dependent on DGT-clocks and seeing your moves on a screen is a very nice feature.I really think it will let grow this post-0.9n community! Of course I will support you in this and other features and will change my monthly “membership” in a yearly. Is it the easiest thing to do that to use the donate-button? I entered a menu “subscriptions” where members can see their status and do actions (like “Upgrade”). Please use this. It works again, thanks Jürgen! Is it also possible to send me a new keyfile, because of changing the subscription? Thanks for the new keyfile, Jürgen. I installed version 0.9r without a problem over a system with a working version 0.9n. I also installed the new engines Al Cooper provided. The whole system seems to work like a charm. As I told a week ago, I am using PicoChess with a PI-Touchscreen on the local server. The problem of that configuration is that I can’t use the clocks of the screen: they are resetting themselves after each move. I wrote that already. Please dont install the R files over the N files => since they have different names you end up with a mixture of N&R inside the picochess folder which shouldnt work (or at least risk to not work). BTW. y should switch over to the hidden place – i dont think, non-club members are interested in (maybe) R problems. Actually it is an issue – I personally don’t see it as a problem – with the n-version. That is why I wrote it here. (Maybe the issue is also related to the r-version. I honestly don’t know. I couldn’t test that yet because I installed the r-version on my touchscreen system just today.) The remarks about the r-version need to be seen loose from the clock issue. Just as a compliment to the fine work of Al Cooper and you. But I admit I maybe wasn’t clear enough in explaining that. Sorry for that. BTW: I did move the old picochessfolder safely away. I exactly followed your instructions but on a working system. Where can I find a documentation updates for picochess v0.9n – Revelation2 Pi Mode? I’m not a computer scientist I just use your version by copying the image on a micro SD card that’s all. I would like to know what’s new in this release like engines or other features. In view of your work it seems perfectly normal to pay you but I do not know because of my knowledge very low in computer (56 years old) install the other paid version. I only know how to do it when I have an image file. in this moment there is no image for versions >0.9N. You need to type some linux commands to get it working. For this i provide a howto-file what you have to do. If members need help with it, i help (for example by Skype 1:1 if needed) and until now everyone got it working -> its not that hard but its not as easy as burn a sd-card. What is new (in 09P & 09Q) y can see in the “picochess-club” article. thanks a lot for your answer. Where can I find your “picochess-club” article? I searched on the internet, and found a “google group” but no explanation of the updates. I have windows 10, and my english is very poor. I do not want to waste your time because I have so little computer knowledge. Maybe you’ll create simpler tools for neophytes like me. best regards good luck for your project that I will follow all the same with great attention. On this google forum you cant find any help for MY(!) versions since they are not public available anymore. Perhaps after some months i release a TRY version of my code as an image – at least i planed that since i did the P version.